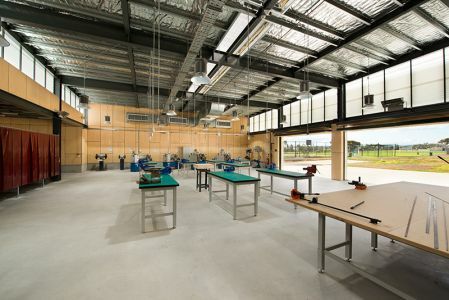 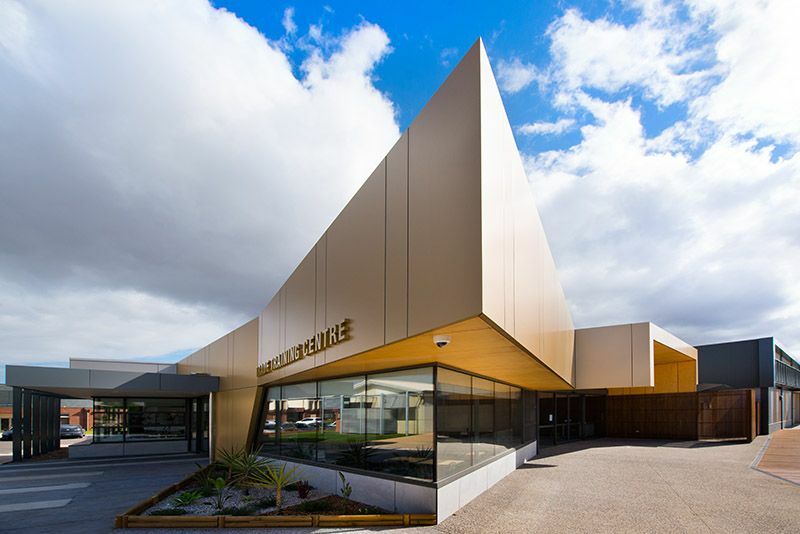 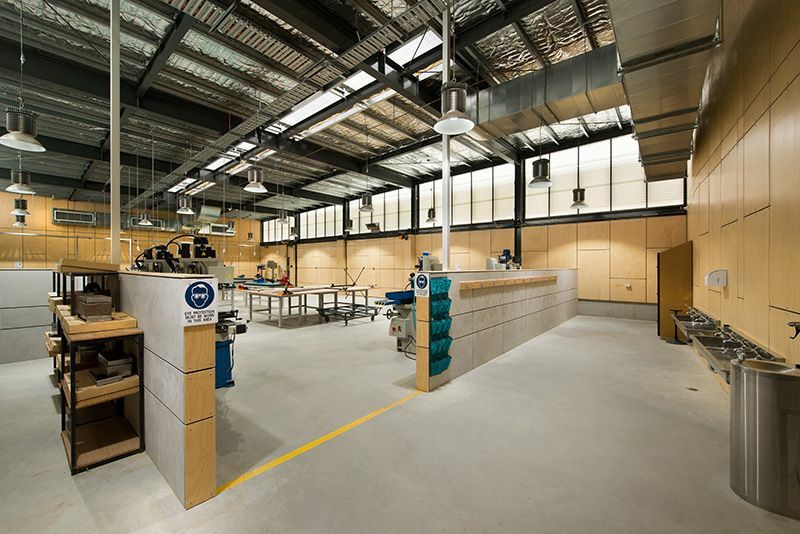 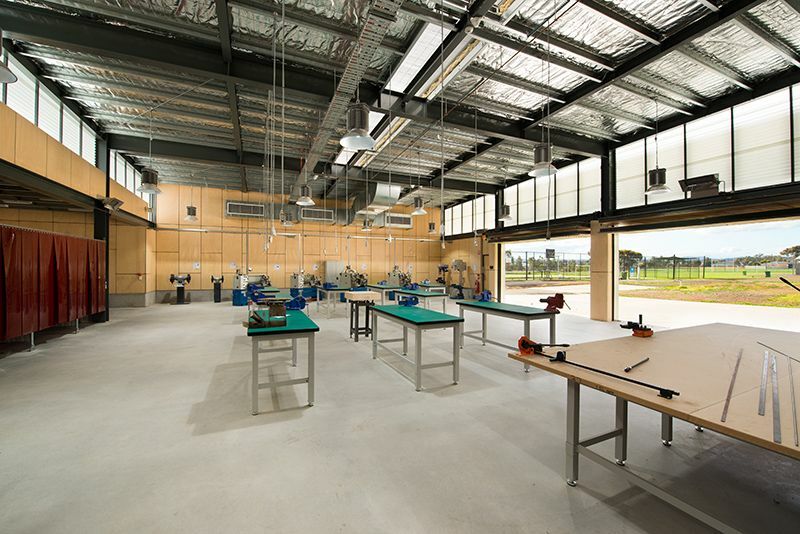 The Trade Training Centre consists of flexible learning spaces, teacher facilities, open collaborative zones and a large workshop facility. 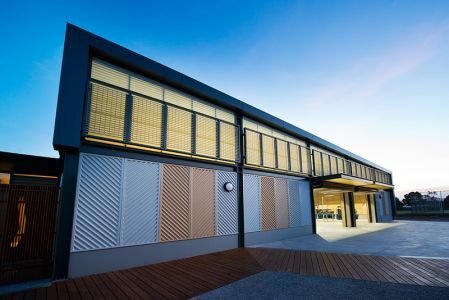 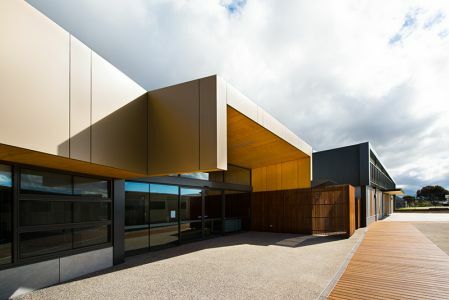 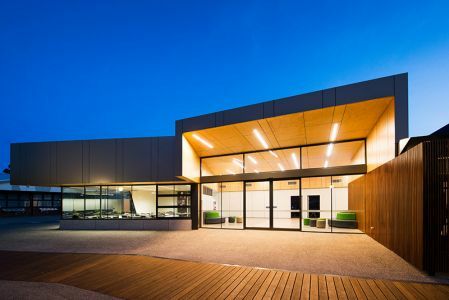 The theory rooms all have operable walls opening onto the central learning commons which provides flexible functionality for a variety of uses. 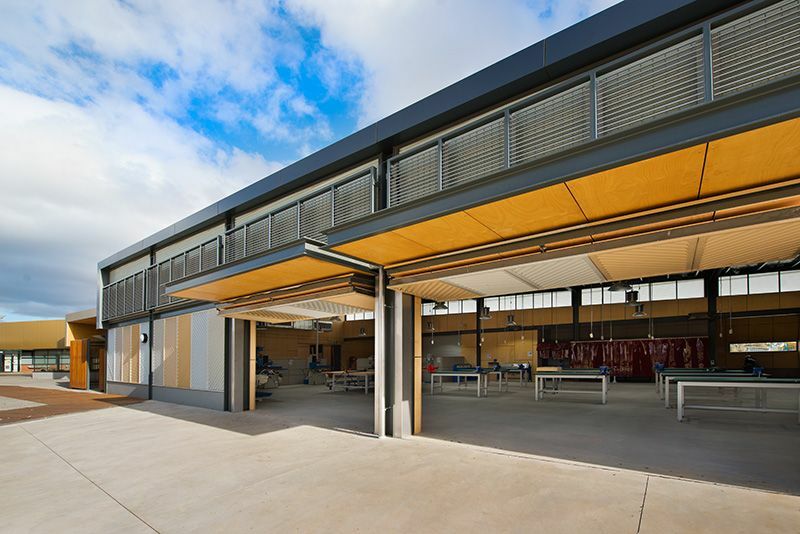 Large tilt up doors to the workshop allow the use of the adjacent outdoor learning area creating an indoor / outdoor experience.